Obituary – Brown, Coralie (Snyder) « Perry High School Alumni Association, Inc.
Library Staff 45-48, Student Council 46-48, Y-Teens 46-48, Secretary of Y-Teens 47-48, Perryscope Staff 47-48. Coralie (Snyder) Brown, 87, of Perry, Oklahoma, passed away Monday, July 4, 2016 in Oklahoma City. Services have been entrusted to Palmer Marler Funeral Home – Perry. She was born June 29, 1929 in Enid, OK to H.A. “Jack” and Roberta (Fallis) Snyder. 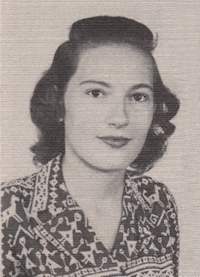 Coralie grew up in Perry, and graduated from Perry High School in 1948. During her high school years, Coralie worked at Foster’s Corner Drug in Perry. After high school, she attended Phillips University in Enid before getting married to D. Carroll Webb April 1952 and later moved to Memphis, TN where she lived until 1995. After that union was dissolved, Coralie met and married E. Horace Brown. He passed away in November 1989. In 1994, Coralie married Herbert R. Brown and moved to Albuquerque, NM. They resided there until 1997, when she moved back to Perry. 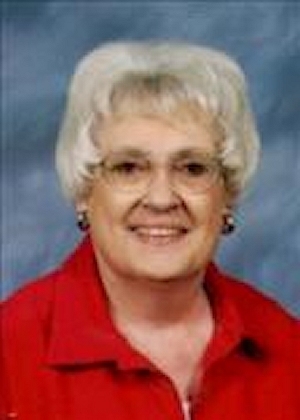 She remained in her hometown of Perry until her passing. She was a member of First Baptist Church in Perry. Coralie is survived by her step-son, Max Brown and wife Nancy of Wichita, KS; Step-daughter, Marsha Carol Drake of Memphis, TN. Four step-grandchildren; one sister, Jacquelyn Addington of Andover, KS; one Niece; Lisa Deeds of Rose Hill, VA; and two Nephews; Chris Addington of Andover, KS and Andy Peake of Nashville, TN. She was preceded in death by her husband Herbert R. Brown, her parents, and sister, Maurine Peake of Nashville, TN. Graveside services are scheduled for 10am Thursday, July 9, 2016 at Grace Hill Cemetery in Perry with Rev. Kim Hayes officiating.